In this release we have some exciting new functionality that will save you time and money by further automating your customer support process and provide you with additional opportunities to increase customer lifetime value. Lime Light currently makes five attempts to bill a customer before placing their order on hold. When this order gets placed on hold a call is made to MemberMouse informing the system that this order is overdue. 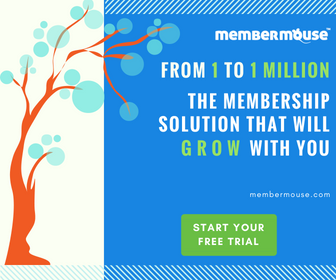 MemberMouse changes the status of the member’s account to Overdue, and sends them an email informing them that their billing information needs to be updated and provides them with a link to their My Account page. When a member logs in and their account status is Overdue they are automatically redirected to their My Account page and are blocked from viewing any other protected content. From their My Account page they can update their billing information and when they submit it, their card will be charged and their account will be reactivated. Now they’re good to go and your support team didn’t have to get involved. This feature will not only decrease support costs, it will make the usually painful process of collecting overdue payments a no-brainer. Prior to this release, when a member’s account was canceled they couldn’t log in to access any content. Now you have the option of pausing a member’s account. Pausing a member’s account also cancels recurring billing, but it allows them to continue to access content that they already had access to. Their content delivery schedule will be paused so they won’t get access to any new content unless they reactivate their account. It makes the customer happy because they continue to get access to what they paid for. It increases the chance of them reactivating their account because they still have access to your community and they can reactivate their account easily by going to the My Account page and clicking Reactivate. To further increase the chance of them reactivating, we’ve enhanced our SmartTags to give you the ability to be able to detect the status of a member who’s logged in. Consider a member has paused their account and every once in a while they log in to look at an article they enjoy. On any page they visit, you now have the opportunity to detect that their account is paused and display an offer that will increase the chances of them coming back. You could even present them with a special offer and use the MM_ChangeMembership tag to make it a 1-click event for them to accept the offer, charge the card on file and reactivate their account. We’ve also made many fixes and enhancements in this release including tightening up the interaction between Lime Light and MemberMouse. For example, MemberMouse will update a member’s account status or access tag status automatically when you void, refund, start/stop recurring on an order.